Green shoots in April tell you that spring has arrived. Yellow leaves fluttering down to the stones on your patio tell you that fall is on its way. Geez, is it Labor Day already? Have a good one, everybody — and remember to squeeze every last ounce out of summer! We’ve had a few days where the overnight temperatures have dropped into the 40s. 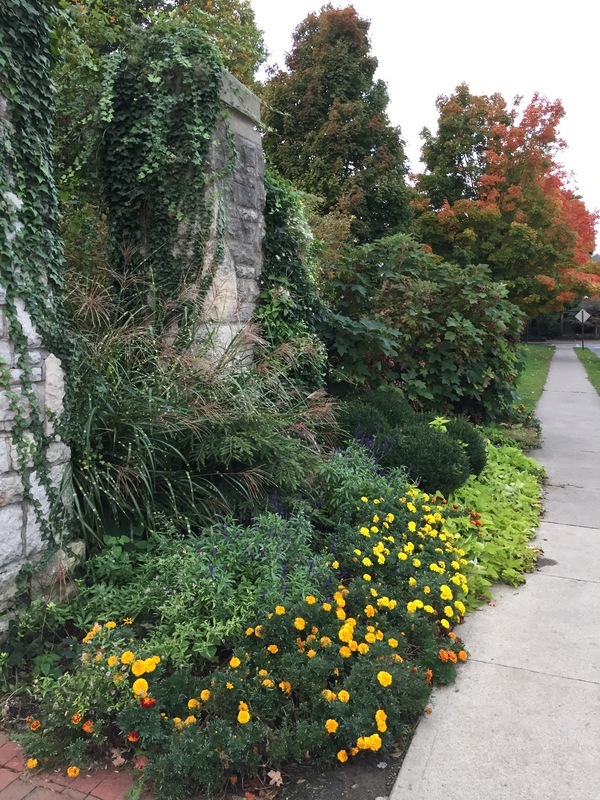 The leaves on the trees at Schiller Park are just starting to turn, and the mums are in their full glory. This morning the air was crisp, and it felt invigorating to take some deep breaths as I walked around the park. If you don’t feel stimulated by autumn in the Midwest, there’s something wrong with you. It’s the best season of the year. 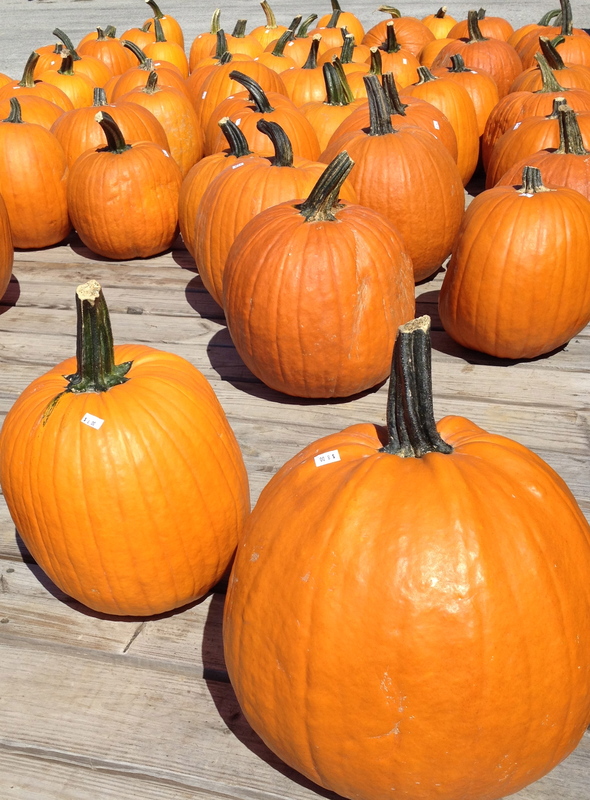 In the Midwest, it’s time to break out the pumpkins, gourds . . . And sweaters. I like the weird, warty gourds best. It cooled down substantially on Saturday night after a storm rolled through, and yesterday was delightful — bright and sunny yet brisk, with that first hint of the distinctive autumnal smell in the air that combines wood fires and spicy turning leaves and the blooming fragrance of late-summer flowers. 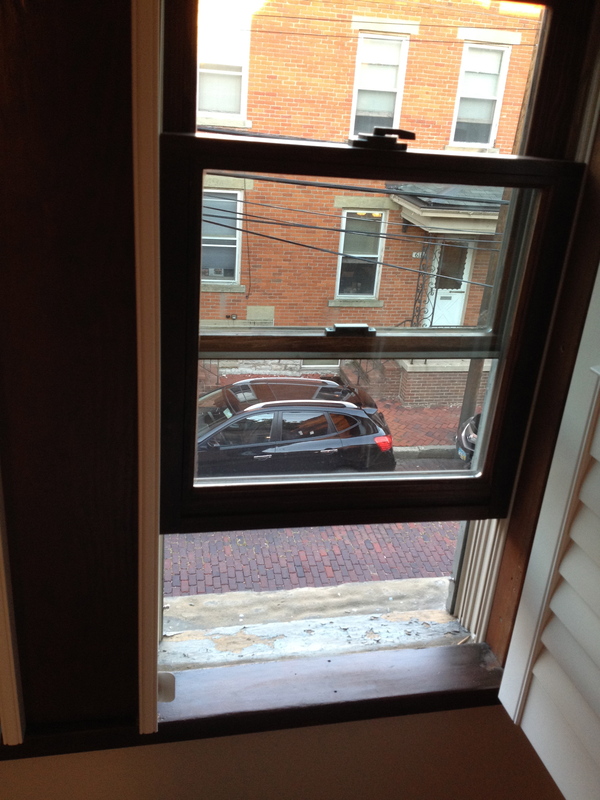 When those fall days come around it is open windows season. Don’t get me wrong — I’m as much a fan of air-conditioning during summer and central heating during winter as anyone. But when spring and fall arrive in central Ohio, I relish the open windows seasons, when you can roll up those closed panes of glass, feel the inward rush of cool air freshening and washing through the interior of the house, and hear the faint susurrus of car doors closing, dogs barking, passersby talking, and children calling from the streets below. We spend so much of our time penned up inside buildings and houses and cars. It is delight to let the outside world inside, now and then, and enjoy the cool of the evening. Last Sunday Kish and I went out to the Lynd Fruit Farm Market in Pataskala to buy some farm-fresh produce, sausage, and cheeses. 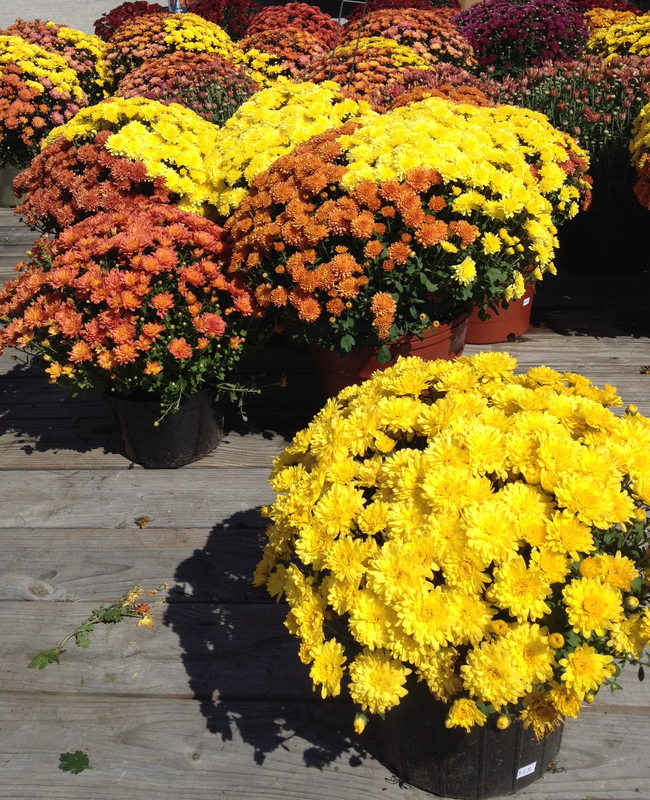 When we arrived, we were greeted by two sure signs that fall is upon us here in the Midwest: a flatbed of colorful mums, and a flatbed of beautiful pumpkins. 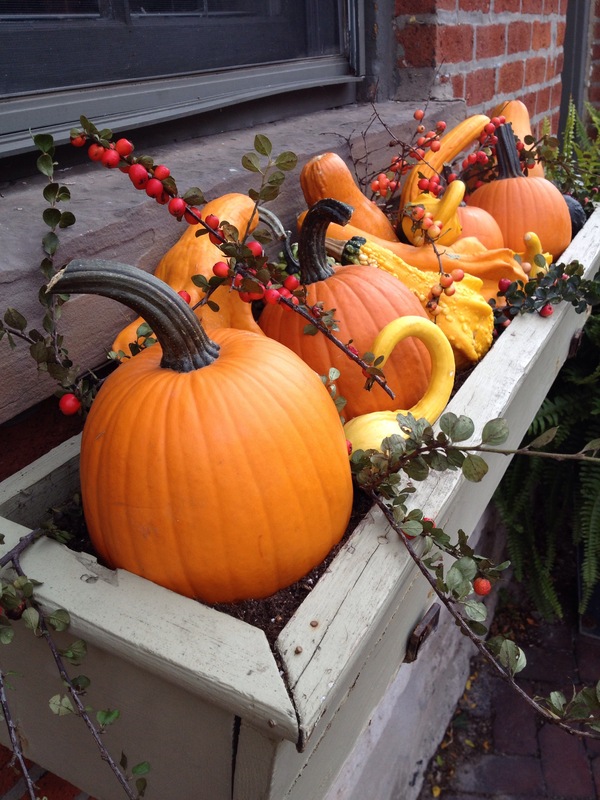 September is one of my favorite months of the year, in part because it’s such a colorful month, with the leaves turning, mum blossoms displaying their bright hues, and orange pumpkins appearing on doorsteps. As if on cue, the weather has taken a distinctly fall-like turn, too. Today our high was in the 60s, and the low tonight is supposed to get down near 50. Sweater weather! 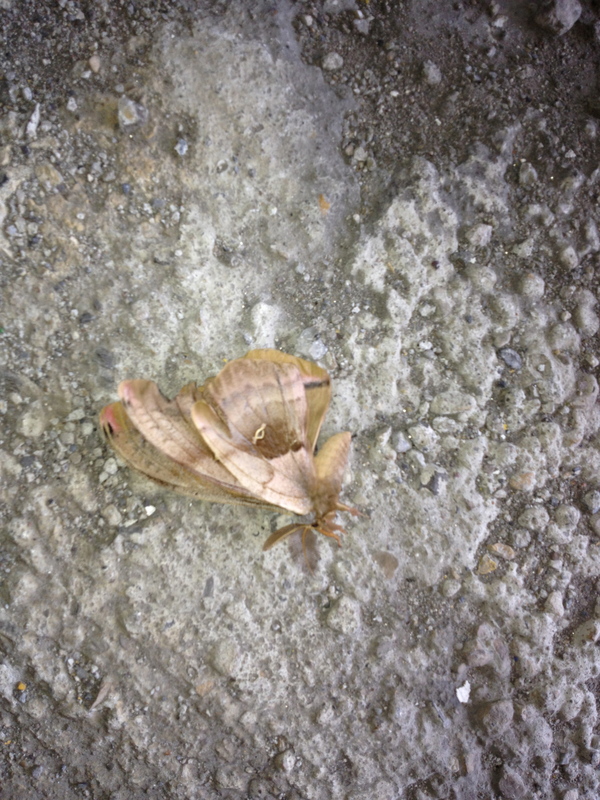 When you find dying butterflies in your parking garage, can the end of summer be far away? The leaves have fallen. 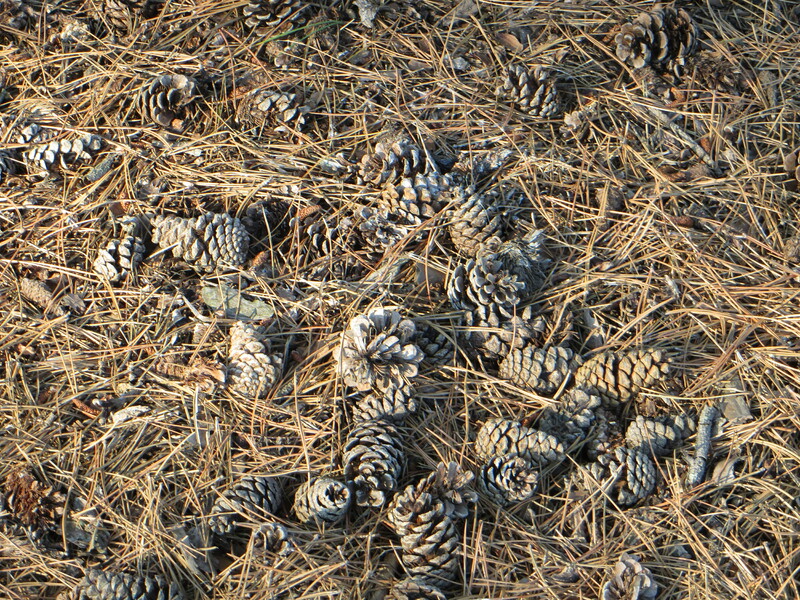 The nuts and cones have fallen, too, and they make walking under trees an adventure. They’ve also given our industrious neighborhood squirrels a reason to be hard at work. Winter is not far away.